Associate Professor Mary Simpson has demonstrated sustained and significant contributions to teacher education in her roles as teacher, researcher, and professional leader. Mary’s excellence as a teacher includes nearly two decades of teaching at various primary school levels and settings, including normal schools, rural schools, and town schools. Her career in teacher education began at the Palmerston North College of Education, which then merged with Massey University. With a commitment to lifelong learning, while on leave from Massey University Mary earned her doctorate in the area of distance education from The Pennsylvania State University. 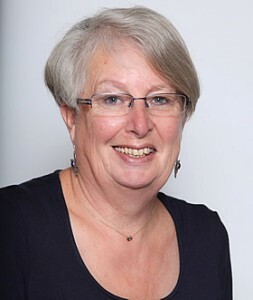 In 2008, she joined the University of Otago College of Education and a year later became Associate Dean – Teacher Education. Across traditional and on-line learning environments, Mary is an outstanding teacher and valued supervisor and mentor to students at all levels of study, as well as her colleagues. Mary is recognised internationally as an expert in the fields of teacher education and distance education. She has been the Editor and the Book Review Editor for the Journal of Distance Learning and is currently a member its Editorial Board. Mary’s research focuses on significant issues that advance teaching and learning practices, in particular for online education. Her research is informed by, and in turn informs her teaching. Mary has published widely, led a number of research projects, and been the recipient of many awards that acknowledge her research and teaching. The seamless linkage between her scholarly interests and professional concern for her students is the hallmark of a great teacher educator. Mary’s leadership has had wide impact in New Zealand. She has earned a national profile synonymous with shaping and improving teacher education. Over the years, Mary has led the development of numerous papers and programmes, both distance and face-to-face, as well as programme reviews, approvals, and quality assurance procedures. She has demonstrated knowledge, sensitivity, and the ability to engage with everyone from student applicants to the Ministry of Education, all to the highest standards. In sum, Mary is one of those rare individuals who does it all: outstanding teaching, important research on relevant issues, innovative curriculum development, and national leadership in the education sector. And she’s a great colleague, valued mentor, and the perfect person to offer a kind word over a cup of tea. Mary is truly a most worthy recipient of the 2014 Sustained Excellence in Teacher Education Award.